This is a Prayer Blog set up for members of the Howick Presy Youth Community. Because it's hard to get everyone together to pray on a regular basis,this blog will enable us to be connected in prayer. Give thanks for God's care & provision of us over this last week & for the opportunity for many to have a break. Pray safety for all travelling & inspite of the weather a happy & restful time. Please remember all our services tomorrow & Kevin as he leads them all, the 8.45am., 10am., Ignite at 7pm. Uphold all who will be taking part in any way, musician, technicians, those reading God's word & leading us in prayer. Especially uphold Kevin as he brings us God's message & may God's Spirit help us to understand & be obedient in our response. Uphold our ministry team, Kevin & his family as they have a few days off this week, Cherie & her family, Matt in his busy life, Stuart leading our music team each week, Peter & Debbie Jessup & family having some time off. Pray all will return to their tasks renewed & refreshed. Remember Bob Moody & the team who look after our buildings & property, give thanks for their faithful work & the great job they do. 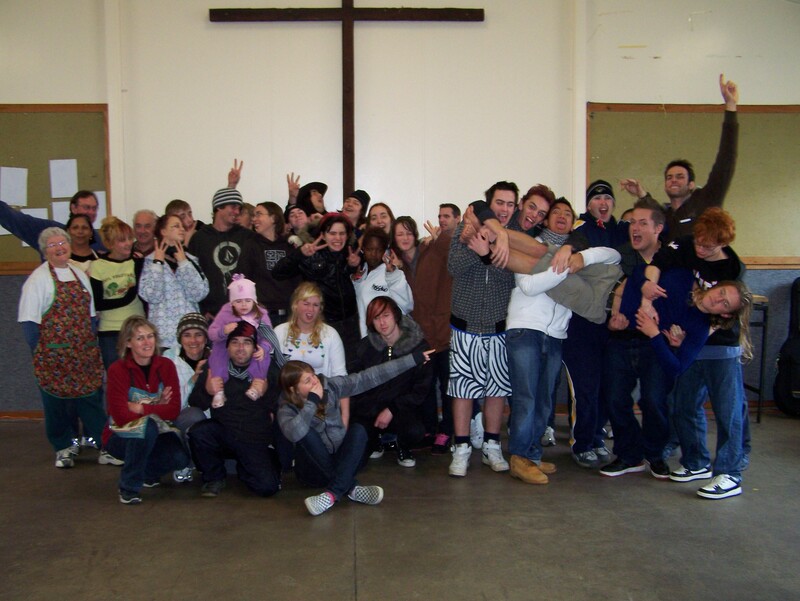 Please pray for our young people spending a weekend away at Raglan this weekend. Uphold Matt & Stephanie & their helpers, may this be a special time of fun & fellowship & bonding & trusting Jesus more &. Pray safe travel for them all. Please continue to uphold the young adults as they meet week by week at Ignite on Sunday evenings, pray guidance for them as they continue to pursue the best course for this Sunday evening service. May they seek to Honour God in their decisions & seek to grow in grace & in knowledge of Him. Give thanks for Alpha course just finished & pray for the weekend meeting where they concentrate on the Holy Spirit & His place in our Christian walk. Pray all will be richly blessed by this. Continue to remember Susan & Stuart Mudford & their team as they work on their plans for family camp in mid August. May God provide everything that is necessary to make this the most memorable camp so far. Pray that we will help as many families as possible to be able to attend. Pray for Kevin & the preparation being done for the Church & study group series being planned for the end of this month. "Just walk across the room" Pray as many folk as possible will avail themselves of the opportunity to take part in this. In this winter weather remember all who are unwell with 'flu & nasty colds, the elderly who find this time a trial, particularly remember Lenore Dixon, & Zelma Old both in hospital, Val Cotterill, Doreen Gibson, Bill & Eileen Monro, Betty Brown, Margaret & Harry Coatsworth. Give thanks that Marjorie Holmes is home & much better, pray for all these folks & others who are vulnerable that God will uphold them during the rest of this miserable weather. Please also continue to pray for those who are looking for work, pray there will be a break- through for them & for those anxious for the future with reduced income or the possibility of being made redundant,pray for peace & hope & a sure knowledge of God's wonderful faithful love & care for all His children. Thank you again for faithfully bringing these & other needs of our parish before our wonderful Lord who has promised to hear & answer all our prayers. What a tremendous privilege we have to be able to come before the throne of Almighty God with our prayer & praise & know this is what He wants us to do. May we also quietly listen to Him as He speaks to us as we read His word, worship with others & meditate on the beauty of His creation & His great love for us in sending Jesus. of God's faithful provision for all His children. As we approach our communion services tomorrow let us give thanks that we have this wonderful opportunity to remember & celebrate what our loving Lord has done for us, in purchasing our salvation with His own life on the cross. Let us pray that we will all prepare ourselves for this special time. Pray God's wisdom & guidance for Kevin as he presents His message, pray also for the musicians & everyone taking part in any way, may God be honoured by it all. Uphold Peter & Debbie & their helpers & all the Kings Kids, also Matt & Stephanie with the Wired group, remember also Katherine & Marie with our tiniest members. Pray that God will use these times to plant His seeds in their minds to grow a tremendous & lasting faith. Please continue to pray for Matt & & our young people as they seek to find the way forward for the 7pm Ignite service.Pray god's inspiration & guidance for them all & a real sense of excitement as He gives them a vision of the future. Pray for the group planning & working for the all age Family Camp in August. Pray families will be making plans to come & church members helping where necessary. Pray we will all make the best of this opportunity remembering the blessings of past camps. Remember those attending the Alpha course, may this be a time of real learning & blessing. Pray also for the courses being held in other churches, may God increase the spiritual life in the Howick district. Remember those who work with the youth in our community, Girls & Boys Brigades, Girl Guides & Scouts, Bible in schools, & the many youth groups. Pray that these young people will find good friends in these groups & learn right behaviour & how to consider others. Uphold Matt & David Hoe & others who work in our colleges. Continue to pray for our study groups and their leaders, may these regular meetings bring us closer to God & to one another. Pray also for the outreach into the community of M&Ms, the OP Shop, Girls Brigade & the Food Bank, may we always be ready to give a reason for our faith. Please pray for our sick & needy folk especially at this time, Val Cotterill with bad shingles, Julie Watson having trouble getting her wound healed so she can start radio therapy, Eileen & Bill Monro, Doreen Gibson & Betty Brown:- for those who mourn, the family of Helen Anderson, & for Joan Batkin. Continue to pray for those who have been made redundant or who know their jobs are threatened. Uphold also those whose retirement income has fallen drastically, Pray that in these uncertain & fearful times we may all remember we have a faithful God who has promised to always provide & care for His children. Please pray especially for a young solo mother who has breast cancer & is having surgery on Monday. Pray skill for the surgeon & healing & peace of mind for the patient & her family. Uphold the North family in Japan as they prepare for a regional conference this week, pray also for the financial situation both for the mission & for the family pray their needs will be a 100% met. Continue to uphold David here in NZ for complete healing & return to health & strength. Thank you for bringing these needs before God's throne & praise Him for His wonderful faithfulness in hearing & answering our prayers. What a wonderful service we had with our Girls Brigade service last week. Keep praying & expecting great things from our great God. if this is true then how come there have been heaps of times in my life when I have prayed, gotten wise council, read etc in order to make a good decision and still ended up in a total mess? Give thanks for God's wonderful faithfulness to us all over this last week. Praise Him for the Alpha course successfully started, pray for each member that week by week God will give a greater understanding of what in means to know Him & trust our lives in His hands. all those taking any part, worship leaders, musicians, technicians and all of worshippers, that we will come with a humble spirit to hear God's message for each one. Please remember those who work with our young people from the tiniest to the young adults. Give thanks that M&Ms is popular, pray for those who lead it each week & for the team who make everyone welcome. Pray this will prove a good outreach into our community. Also on Tuesdays remember the Girls Brigade, with Venetia & her team. Praise God for these girls who come each week & really enjoy the programme. Pray also for Peter Jessop & his team & all the Kings Kids, also uphold Matt & Stephanie with the young teens at Wired, pray for all these children & their families, may they all get a good start in the Christian faith. Please continue to pray for the young adults meeting at 7pm with Ignite service, especially uphold Matt with his increased responsibility now Wayne has gone. Please also remember Matt's work in the local colleges, also Dav Hoe & others. Give thanks for the great work of Katherine Bennett each week in the creche & Marie Cutler with the tiny tots each Sunday. Please remember our Kindergarten, the principal & all the staff & each child, give thanks for the great work of the trustees, Heather & others & pray there will be more people found to become trustees & a new chair person at the AGM. Please uphold al our study groups & their leaders may, these time of studying God's word prove to be really valuable in the growth of our church and of each individual member. Please uphold all our elderly & frail members, especially as the cold weather arrives, pray also for those looking for work & those anxious about their future security in these uncertain times. Help us all to keep our eyes on Jesus & remember His promises to sustain & keep us at al times. Please pray for Bible in schools where there are several vacancies, pray teachers will become available to fill the gaps & keep up this important work. Thank you again for keeping the needs of our parish & its members in your prayers. Praise God for His wonderful faithfulness in hearing & answering & supplying our needs. Pray we will all look to Him for guidance in every part of our lives, to the honour & glory of His wonderful Name. Give thanks for God's continued love & care for us & all His children, this beautiful land in which we live, the freedom we enjoy & the plenty most us have even in hard times. Pray we will always be sensitive to the prompting of His Spirit as He asks us to care & share with others. As we hear God's word to us in the messages we listen to today, pray we will be obedient to what He asks us to do. Uphold Kevin, Wayne & anyone else who brings a message from the Lord, may His words have real power,conviction & direction for all. Pray for all who assist in our services, musicians, technicians, readers & for Peter Jessup & Kings Kids, may all that is done honour our Lord & help our worship to be acceptable & uplifting. Please remember Kevin, Miranda, Eden & Talor as they continue to settle into our parish & get to know us better. Pray God's guidance & care for each one & especially for Eden now at Tech. in Tauranga. Uphold our ministry team as they oversee the work of the parish & the property committee who do such a great job managing the upkeep of our buildings & land. Pray they will all receive all the help they need both spiritually & physically to carry out their work. Pray for the meeting of session council this coming Monday evening that God will direct all matters discussed & decisions made. Continue to uphold the youth work in all departments, M&Ms, Girls Brigade, Peter & Debbie Jessup with Kings Kids, the creche, Wired & older youth. Pray God will bless & prosper all this as young people learn more about Him & His great love for each one of them. Please continue to pray for the 7.01 service, Kevin, Wayne & Matt as they lead it, Pray protection & growth in faith for those young people as they feel the pull of the world & the temptations that brings. Please pray for Matt as he starts a prayer meeting on Saturday mornings 9. to 9.30am for the period of Lent, let us support him if we can. Pray God's love, peace & comfort for those who mourn the loss of loved ones especially the family of Rose Nicholls & the family of Nancy Dowthwaite. Remember also our frail & elderly members, Betty Brown, Doreen Gibson, Eileen & Bill Monro as they settle into Gulf Views, Val Cotterill & others, may they be very conscious of God's love with them always. As Easter approaches pray the meaning of this wonderful season will become more & more real to each one of us. Uphold all who will be going to camps & special teaching programmes being prepared; may the faith of the whole church be enriched & God's witness in the world through us His people bear much fruit & bring Him honour & praise. Thank you for praying. Not surprisingly, I have been feeling really called to pray for our church, the entire thing, young and old. We have some really awesome things happening, and we also have some things that are not working well. So I’m going to pray for our church for about 20 minutes every day for the next 40 days and I’m also going to fast from my favourite food … and I think we all know what that is… for the next 40 days too. I’m also going to pray for our church for about 30 minutes every Saturday at church from 9am-9:30am during this time. If you feel like you might want to join me in my 40 days prayer/fast ( you could choose what you wanted to fast from , favourite food, TV etc) and maybe even join me at church on the Saturdays then that would be cool. I will build my church and all the powers of hell will not conquer it. Lord thank you that we don't have to do a thing to be loved by You. Without us moving a muscle you already dote on us and consider us to be Your precious kids. Lord please help everyone of us at HPC to know Your love inside and out and to live lives that ooze out the love you have for us to others as well. Welcome to the Howick Presy Youth Prayer Blog! Hi everyone welcome to our prayer blog! My encouragement to you all is to add your prayers to this blog, although we can't always be together as a faith community we can in a sense pray without ceasing as Paul says (1 Thessalonians 5:17) as a community. If you don't want be part of this ongoing blog you can easily unsubscribe. 1. Lord please help us to continue to become an authentic, dangerous and radical community where people are welcomed and cared for. 2. Lord please anoint our church community to be a place where Your power and presence works strongly. Come Holy Spirit, come.